Nearly thirty years ago, when Life Action Ministries first began, hardly anyone was talking about revival. The term itself was uncomfortable, if not foreign, to most believers--except for some in the Bible belt who equated “revival” with a week of meetings geared to evangelize the lost. A lot has changed in the past three decades. Now you can hardly find an evangelical denomination or ministry that is not talking about revival! What was once considered a fringe element has become a widespread, popular movement. Everyone, or so it seems, is into “revival” these days. When it comes to the matter of revival, there is much taking place that is cause for great rejoicing. Never before in our generation have there been so many Christian leaders, pastors, and laypeople carrying a burden for revival. In recent years we have witnessed the proliferation of revival conferences, publications, and resources. Much has been written on the subject, and many have grown in their understanding of the nature of genuine revival. Few would dispute the claim that the united, fervent movement of prayer for revival that exists today is unprecedented in our lifetime. In an effort to get the gospel out to the world, denominations and parachurch ministries are uniting their hearts, pooling their resources, and combining their efforts, to an extent that would have been inconceivable twenty years ago. In the midst of this groundswell of interest in revival, it should come as no surprise that Satan would seek to abort or sabotage a true movement of God’s Spirit. Sometimes the enemy’s objectives are furthered by those who overtly oppose the work of God in revival. Opposition of this nature is not difficult to identify. Far more subtle, however, is the threat that comes from those who may actively be promoting revival, but who lack understanding of the nature and ways of God in genuine revival. That is why it behooves us to exercise care and to be discerning in these matters. Following are a number of cautions that bear consideration in light of the current explosion of interest in revival. 1. Not everything that is called “revival” is revival. Calling a movement a “revival” does not make it a revival. If it does not bear the marks of biblical revival, we ought to question whether it really is a revival. Corporate revival, in the biblical and historical sense, is a precious term, that ought to be re-served for those “divine moments” when there is a supernatural outpouring of God’s Spirit upon His people that cannot be explained in any human terms. If we are too quick to ascribe the term “revival” to various religious happenings or movements, the word will soon lose its meaning, and we will cease to long and seek God for that which truly is revival. 2. The fact that a lot of people are talking about and promoting “revival” doesn’t necessarily mean that we are, therefore, in the midst of revival. Numerous, respected Christian leaders are declaring that we are in the midst of or on the threshold of a great spiritual awakening. We must be careful about accepting the assessment of men, even those who may be recognized as “authorities” on revival, and must continually evaluate what is taking place through the grid of the Word of God. One of the curses of our age, according to A.W. Tozer, is the assumption that because we know about something, therefore we have it, when, in fact, nothing may be further from the truth. 3. Large crowds, intense enthusiasm, stirred emotions, energetic activity, and “signs and wonders” are not necessarily evidence of revival. Nor can they uniformly be attributed to God at work among His people. All these things can be imitated by the world, or even counterfeited by false religions, even as Pharaoh’s magicians were able to counterfeit the miracles that God did through Moses. Satan is a master deceiver and one of his most effective strategies is to stir up people’s passions with programs that substitute noise, applause, activity, and human fervor for the presence of God. Evangelicalism’s fascination with the sensational is not new to the 20th century. Back in Jesus’ day, people tended to be enamored of the spectacular, the grandiose. “Show us a sign,” the Pharisees demanded of Jesus. They wanted to be impressed, to have their senses titillated. Jesus responded by reminding them that “an evil and adulterous generation seeketh after a sign” (Matt. 12:39). Today it is relatively easy to pack an auditorium with cheering, chanting “spiritual enthusiasts,” if the event has been especially well promoted and the program consists of hyped-up music and big-name speakers who are known for their ability to make people laugh and cry. People will pay large fees and stand in long lines to be entertained or to have an experience that makes them feel good about God and themselves. But the real test is what happens to those crowds when the message of the cross and repentance is proclaimed. What happens when they are asked to take out their Bibles and digest the meat of solid, doctrinal teaching? Unfortunately, as was the case in Jesus’ day, it is at this point that the multitudes tend to thin out, and we are left with those who are serious about being disciples of Christ. 4. Genuine revival will not be a bandwagon. So-called “revival” is a popular movement in the church today. Everybody seems eager to join in. But genuine revival will not be popular with everyone. It may have a polarizing effect. It will divide between those who are walking after the flesh and those who are walking in the Spirit, between those who want to build their own kingdom and those who want to build the Kingdom of God, between those who are attached to their own ideas and those who are committed to the Word of God. In the current climate, it is possible to promote “revival” without risking anything—our image, our reputation, our position within the denomination or the evangelical world, our sophistication, our schedule, our convenience, or the respect of others. But when God pours out His Spirit in genuine revival, the participants and leaders of the revival may find themselves losing popularity contests, even in the church. They may be misunderstood, ridiculed, scorned, ignored, or dismissed as fanatics. Yet, though it cost them everything, they must be prepared to speak the truth to the people of God and to our world. 5. We must guard against “revival” becoming just another popular program or emphasis in the church. In its quest for results and success, the church tends to gravitate to trends and to jump from one new thrust to the next. Much like the world, we have an obsession with novelty. In the 70s, we were into soulwinning; in the 80s, we got into discipleship, small groups, and church growth; the 90s brought us cell churches and seeker-sensitive services. Now, we’re into revival. The church of Jesus Christ does not need one more novel idea or approach. “The answer” is not a program or an effort. What we need is the presence and power of God. And that cannot be acquired by launching another emphasis; we must seek His face. 6. Revival is not an end in itself. That mind set ultimately leads to self-absorption, which is a form of idolatry. Revival in the church is merely a means by which God is glorified in His people and His kingdom advanced in our world. Our mission is not to seek revival, but to seek the Lord. When we set ourselves to seek His face, we likely will experience the by-product of revival. 7. There is nothing we can do to coerce or manipulate God to send revival. All our prayers, our fasting, our gatherings, our efforts to promote revival are no guarantee that God will indeed be pleased to send revival. While it is unlikely that God will revive a people who have not earnestly sought Him, revival remains a sovereign, independent work of God. 8. Corporate revival is no substitute for personal revival. Further, corporate confession is no substitute for personal confession. And corporate prayer is no substitute for private prayer. We rejoice in the many gatherings that are taking place for the purpose of repentance and prayer for revival. But it is possible to participate in many such events without ever experiencing personal revival, confessing our own sins, or having a personal prayer life. It is possible to focus earnestly on the need for corporate revival in “the church” and in our nation, while overlooking the need for personal revival right where we live--in our own lives and homes. It is easy to talk about “the church” needing revival. But the church is made up of individuals. What about my life? Do I need revival? Does my family need revival? If we get excited about attending conferences and services where God is moving in a significant way, while failing to deal with the issues of pride, selfishness, bitterness, greed or immorality that are affecting our own homes, we have missed the point of revival. Could we be so preoccupied with confessing the sins of others that we are overlooking our personal sins that need to be confessed? Of what use is racial reconciliation or unity between denominations, if we have contention, strife, and unresolved conflicts in our own homes or churches? 9. There are no shortcuts to revival. We may be so eager to experience the fruit of revival that we bypass God’s conditions for revival: humility, repentance, contrition, prayer, and obedience. There is no such thing as a “painless Pentecost.” Weeping comes before joy. The cross comes before the resurrection. Death comes before life. Brokenness comes before wholeness. As Sammy Tippit reminds us, “When God sends revival, there will be a lot less laughter and a lot more weeping.” We cannot arrive at the desired result of revival if we are unwilling to walk through the process that God requires. In many ways, evangelicalism today has embraced the quick-fix mind set of the world. We are so bent on eliminating our problems that we gravitate to promises of immediate relief and deliverance. The “name it and claim it” theology has thrived in such a climate. Christians with problems that are the fruit of years of fleshly choices want someone to wave his hand over them or bind a demon of lust, rather than walking through the difficult, less dramatic process of repenting and renewing their minds with the Word of God. Quick fixes may provide temporary relief. But they will not provide the lasting transformation of heart and life that we really need, both person-ally and corporately. 10. God is unlikely to send revival to those whose real heart motive is to build or enhance their own reputations or ministries or to reap blessing for themselves. We must ask ourselves, why do we want to see God send revival? Revival is not primarily a way to get rid of our problems, to make our lives easier, to increase giving, to get people to respond, or to increase the fruit of our ministries. The ultimate purpose of revival is for the glory of God—that His name might be known and reverenced in our world, that His Kingdom would rule and reign in the hearts of men, and that His will might be done on earth as it is in heaven. 11. The fact that we agree about the need for repentance in the church does not mean that we have, in fact, repented. Talking about repentance is far easier than actually repenting. We may, in fact, be calling others to repentance, while failing to repent of our own sinful attitudes, values, habits, or actions. Repentance means choosing to utterly forsake our sin and to walk in absolute obedience and holiness. Confession, whether public or private, is not for the purpose of providing an emotional catharsis for the sinner. And the sinner’s guilt will not be assuaged if, in his confessing, he stops short of full repentance. The evidence of genuine repentance is not merely that an individual has confessed his sin, but that his life has been transformed and he is now walking in the light. 12. There is no revival where there is not deep brokenness and contrition over the seriousness of our sin against a holy God. God said to Ezekiel, “Is it a light thing [a trivial matter--NIV] to the house of Judah that they commit the abominations which they commit here?” (Ezek. 8:17). Brokenness implies mourning and grieving over our sin and hating everything that does not please God. All of us have, at times, been sorry about the consequences of our sin (e.g., the mess we’re in, the problems and conflicts we are experiencing in our relationships). But when is the last time we grieved over the nature of our sin, over our rebellion against a holy, loving God? Do we realize the depth and extent of our personal and corporate sin against God? Do we realize how far we have strayed from the Word and the ways of God? 13. Not all prayers and prayer meetings bring us closer to experiencing revival. If we are praying for revival, while failing to deal with those things in our hearts, lives, and relationships that are standing between us and the Lord, then we are wasting our breath. Tozer suggested that we will experience revival when we stop using prayer as a substitute for obedience. Charles Finney, who understood the importance and power of prayer, once said that he would not go across the street to attend an all-night prayer meeting if those gathered were not serious about obeying God. All the prayer meetings in the world cannot take the place of obedience. 14. We have no right to expect to enjoy the fruit of revival if we are not personally willing to pay the price for it. Thank God for those men and women who are earnestly praying and seeking Him for revival in our day. But there is a temptation for us to ride their spiritual “coattails.” Are we counting on the earnestness and prayers of others to bring about revival for us all? Many believers today say they want to see God send revival—until they realize the price they will have to pay. Del Fehsenfeld Jr., founder of Life Action Ministries, used to ask this searching question: “If revival in this land depended on your prayers, your faith, your obedience, would we ever experience revival?” Are we willing to pay the price of fervent, intercessory prayer and fasting, of sleepless nights, of crying out to God with all our hearts, “’till He come and rain righteousness upon us”? 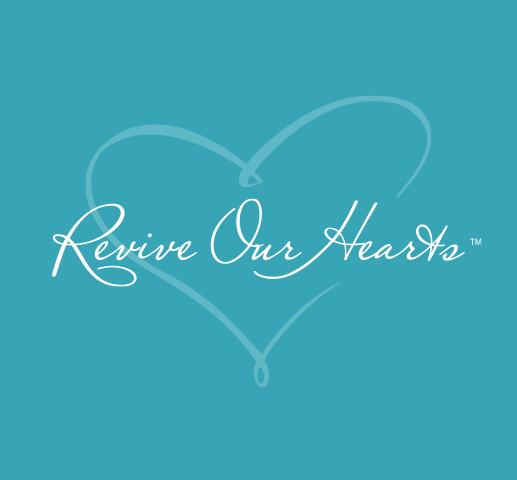 What is to be our response to the current wave of interest in revival? Let us rejoice in every evidence that God is manifesting Himself to the hearts of His people, that Christ is being exalted, that the Holy Spirit is stirring God’s people to seek His face, and that believers are responding to Him in humility, repentance, faith, and obedience. At the same time, let us be discerning and carefully evaluate every purported evidence of revival in the light of the Word and the ways of God. Let us not cheapen the term “revival” by prematurely or carelessly applying it to every contemporary religious movement, but reserve its use for that which is truly heaven-sent and God-initiated. Let us press on to seek the Lord with all our hearts and call others to join us in doing so. And let us eagerly anticipate that day when His glorious presence “shall come down like rain upon the mown grass: as showers that water the earth” (Psalm 72:6). © 2004 NancyDeMoss Wolgemuth. Taken from Spirit of Revival magazine (Feb. 1999). Published by Revive Our Hearts. Used with permission.